Quite a few users have been reporting that the Wi-Fi connection of the Galaxy S8 keeps on dropping. It has persisted with both 2.4 GHz and 5 GHz signals. Wi-Fi signals disconnecting and reconnecting were also reported by Galaxy S7 users, many of whom were planned to be clear the cache (and some even recommended for a hard reset). Clearing the cache worked for some users, but not all. 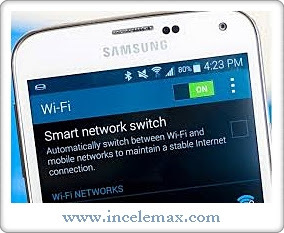 The Wi-Fi issue has been received by Samsung / various carries, and a patch is in progress. If you have an unlocked Samsung Galaxy S8, you will receive the patch directly from Samsung. Otherwise you'll have to wait for your carrier to push out the Wi-Fi problem.